For the staff of the Treblinka death camp, Monday morning, August 2, 1943, dawned routinely. The SS officers went about their duties. Prisoners were rounded up for morning roll call, given their meager breakfast of a little hot water and a piece of moldy bread, and dispersed for work. 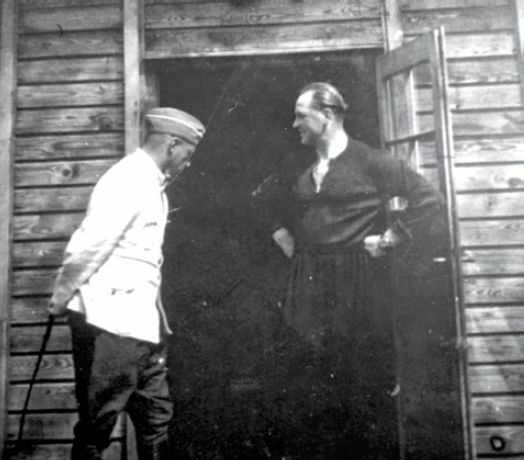 Camp commander Franz Stangl was waiting at home for the arrival of Lieutenant Greuer from the Vaslov unit, whose Soviet soldiers had deserted their own army and were cooperating with the Nazis at the behest of their commander, General Andrey Vaslov. Stangl noticed nothing out of the ordinary, nor did the Ukrainian guards posted around the camp and high in its surrounding watchtowers. The oppressive heat presaged nothing of the events about to unfold. But the 850 Jewish prisoners smelled tension in the air. They noticed the nervous excitement surrounding the members of the underground resistance that had coalesced in the previous months. The night before, the rebels had huddled in their final meeting, lit by flames erupting from the pits where the bodies of the camp’s victims had been thrown. The last whispered details were exchanged. 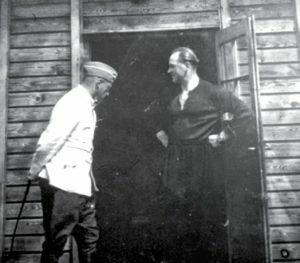 Silver-haired Zev Kurland, eldest of the group and the camp’s hospital kapo (prisoner functionary), was dressed as always in his doctor’s coat. He swore to fight to the death to destroy the sadistic madness the Germans had created in Treblinka. After him, all swore likewise. Yet the operation was wasteful, slow, and shockingly exposed. A more efficient and discreet method had to be found. So Hitler turned to Philipp Bouhler, chief of Hitler’s chancellery, and Viktor Brack, one of its department directors, who had been among the architects of the Nazi euthanasia program to dispose of unfit Germans – the disabled, sickly, and mentally ill. These bureaucrats’ first suggestion was to use the gas vans they’d employed to put thousands of infirm Germans to death. This solution, tried in the Chelmno death camp, proved too unwieldly. It would have required hundreds if not thousands of such camps to murder the entire Jewish population of central and western Poland. 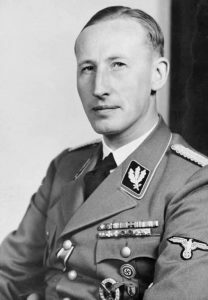 The first plan to use gas to annihilate Poland’s Jews was named for Reinhard Heydrich, head of the German Reich’s Main Security Office. The sadistic duo realized they needed camps built specifically for mass execution by gas. Later their plan was dubbed “Operation Reinhard,” after Reinhard Heydrich, head of the Reich’s Main Security Office (which included the Gestapo and the death squads), who was killed by Czech partisans in the spring of 1942. The conception and construction of the camps was the work of Odilo Globocnik, SS and police chief of Lublin. Globocnik built three camps; Belzec for the Jews of Galicia, Sobibor for the Jews of Lublin, and Treblinka for the Jews of Warsaw and Radom. Treblinka was by far the largest. 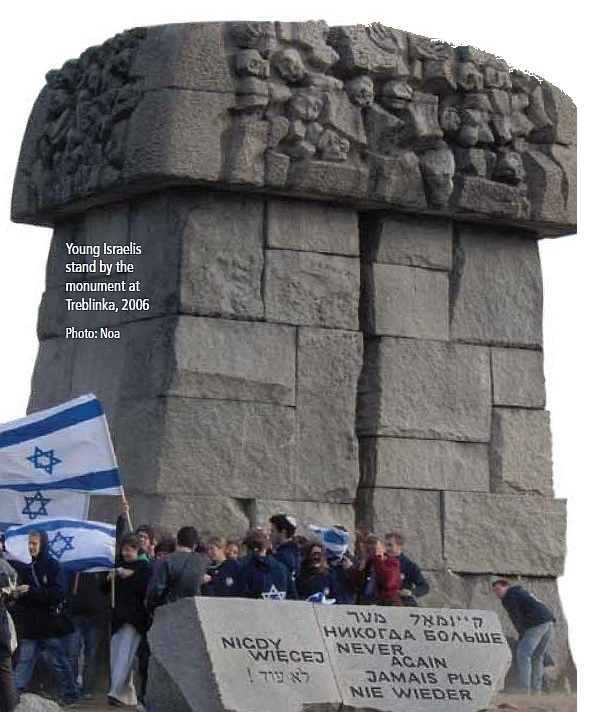 Work began on Treblinka in the spring of 1942. 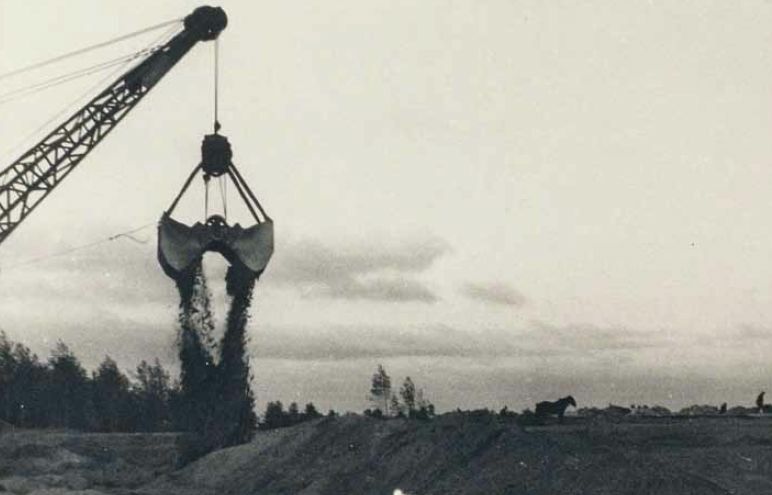 A site was chosen in the heart of a heavily wooded, lightly populated area, and Polish and Jewish prisoners from a nearby penal and labor camp served as construction workers. The camp measured four hundred by six hundred meters, divided into two sections: “the lower camp,” including staff and prisoners’ barracks, warehouses, and a reception area where a railway platform was built; and “the upper camp,” an extermination complex with gas chambers and huge burial pits. Two barbed wire fences, about five meters apart and four meters high, encircled the camp. Pine branches were woven into the inner fence, shrouding what went on inside. Linking the reception area to the extermination center was a winding path about a hundred meters long, which the Nazis perversely dubbed Himmelstrasse – the road to heaven. It led to three gas chambers, each four by four meters, disguised as showers. A lazaret, or hospital facility, was later added close to the southern fence, for the disabled and sick arriving in the transports. 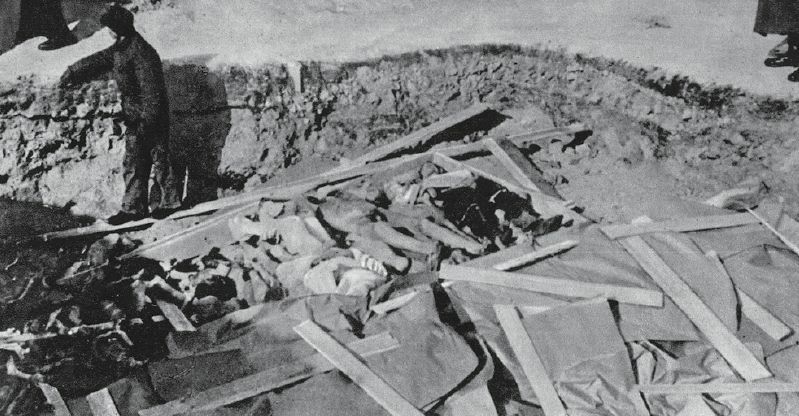 Surrounded by hedges, with a Red Cross sign overhead for authenticity, this “medical center” actually contained a pit twelve meters long and lined with benches. Prisoners were seated, then shot, and their bodies pushed into the pit, where a fire burned constantly to consume them. Fittingly, the first transport arrived at Treblinka from the Warsaw ghetto on 9 Av (July 23), 1942. The ghetto’s population was then 350,000, all of whom had experienced the cruelty of their Nazi oppressors and Polish accomplices firsthand. Packed into the ghetto through brutal winters and stifling summers, suffering forced labor, abuse, epidemics, and the ravages of hunger, over a hundred thousand had already died here. Trains were expected to deliver six thousand people a day to “labor camps in the east.” These transports were to be filled by the head of the Judenrat, or Jewish Council, Adam Czerniaków, but he preferred suicide. Crammed into cattle cars a hundred at a time, sixty cars in each train, the Jews made the journey to Treblinka, which lasted up to two days. 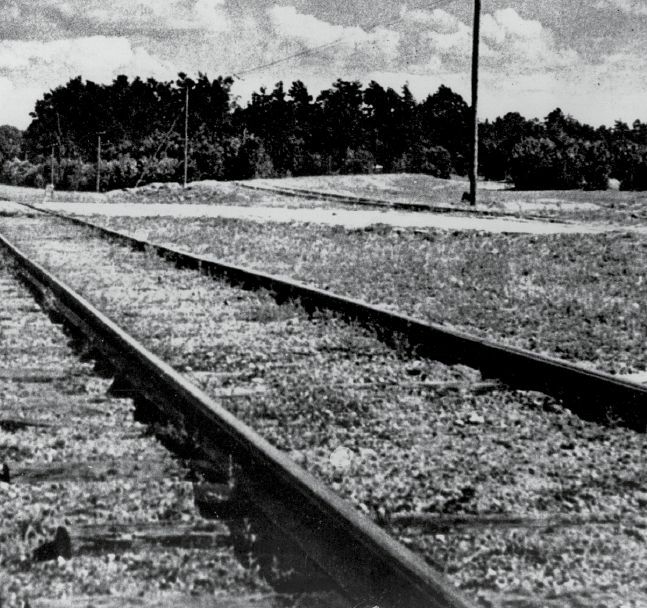 As the train approached the Treblinka station, it emitted a long hoot. The platform’s length meant that only twenty carriages could be unloaded at a time, with SS guards lining up along the way. As soon as the doors opened, chaos ensued as the deportees spilled out and SS personnel hurried them on with harsh shouts and truncheon blows. Men were immediately directed to the right, and women and children to the left. Signs in Polish and German announced that this was a transit camp en route to a labor facility, and that all arrivals required disinfection. Changing huts were the next stop. . People were then forced to run the whole way to the gas chambers, trying desperately to escape the guards’ blows and attack dogs. When the chambers were full, the doors closed, and the order was given to turn on the gas. Three Jews were made to play music in order to drown out the screams. Fifteen minutes later, there was nothing but bodies. At first they were buried in enormous pits, but after less than a year a decision was taken to exhume these corpses and burn them along with all subsequent victims. Two months later, on Yom Kippur of 1942, the last transport of 2,200 arrived, including the ghetto’s Jewish police, who’d run the operation at its Warsaw end. All together, over 250,000 people were murdered in the liquidation of the ghetto. The first act of resistance in Treblinka must be credited to Meir Berliner, an Argentinian Jew who’d come to visit Poland with his wife and daughter just before the German invasion. Their foreign citizenship gave them no protection, and they were deported to Treblinka. Berliner’s family was murdered on arrival, but he was selected to work in the camp. On September 10, 1942, he was standing in line for the evening selection process, in which a few prisoners were chosen for execution after the day’s labor. The Ukrainian guards began raining blows on the slower-moving inmates, and then Berliner pulled out a knife and stabbed SS supervisor Max Biala in the back. (He died later of his wounds.) Two Ukrainians immediately set upon Berliner with shovels, beating him to death. Other guards started shooting wildly. 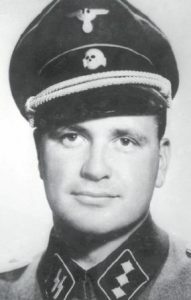 Panic reigned, until deputy camp commander Kurt Franz (nicknamed Lalke, or doll, by the prisoners for his baby face, in ironic contrast to his savagery) arrived on the scene. Ten Jews were shot in front of all the rest, and the next day another one hundred fifty were killed in reprisal for Berliner’s heroism. Though Berliner had acted alone, seeking revenge for his murdered family, the Germans feared he’d set a precedent. Regular searches were instituted, but they didn’t prevent the next, more spontaneous outburst of violence. In mid-December 1942, about two thousand Jews arrived from Grodno. Disembarking from their transport, a few asked if this was indeed the rumored death facility. When none of the inmates answered, the newcomers called out to the others not to undress. Germans and Ukrainians began firing into the crowd, and dozens of young Jews fought back with knives and bare fists. Deportees attempted to escape in the confusion, but they were soon rounded up by the camp guards – and by Jewish prisoners afraid for their lives. Many members of this transport were shot while still in the reception area; others were shoved into the gas chambers. By daybreak, the spontaneous resistance had been suppressed, and the Treblinka death machine was back in action. In January 1943, the destruction of the Jewish population of the General Government (as conquered Poland was called) and the Bialystok area was nearing completion. Transport arrival was no longer constant, and the huge stockpiles of clothing and possessions were shipped off to Germany. Word of the German defeat at Stalingrad penetrated the camp, and a typhus outbreak added to the general inertia. Fearing they too would soon be disposed of, the prisoners were determined to expose the horrors perpetrated in Treblinka. In the lower camp, inmates locked up in their barracks through the long winter nights began planning a mass breakout. A small group formed around three men: Dr. Julian Chorazycki of Warsaw, who treated the SS officers; Zev Kurland; and Zelo Bloch, a Czech army officer of about thirty. This “organizing committee” later included Adolf Friedman of Łódź, who’d served in the French Foreign Legion. The first challenge was to lay hands on weapons,either by bribing camp personnel or by robbing the arsenal. Money, it emerged, was no object; it was provided by prisoners sorting through the possessions of murdered deportees. So Chorazycki chose the first, less risky option. Disaster struck when Chorazycki was caught by Kurt Franz trying to purchase firearms from a Ukrainian guard. The doctor hurriedly stuffed the cash inside his coat, but Franz noticed, and Chorazycki attacked him with a scalpel. Younger and stronger, Franz was about to overcome the prisoner, but suddenly Chorazycki managed to break free of the deputy commander’s grip and jump through a window, swallowing poison from a bottle in his pocket. Afraid of being caught and revealing his fellow conspirators’ identity under torture, he’d equipped himself in advance. German attempts to resuscitate him failed; Franz whipped the doctor’s corpse in frustration, then had it thrown into the infirmary’s fire pit. The last survivors of the Warsaw ghetto were brought to Treblinka in May 1943, including a few who’d fought in the ghetto uprising. One of them had hidden a hand grenade in his clothing and threw it when he reached the reception area. By some accounts, that a Ukrainian guard was killed by the explosion, and a German, two Ukrainians, and three Jews were injured. 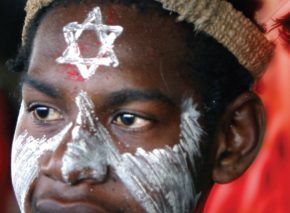 Others say only Jews were wounded. By June, incoming transports were reduced to a trickle, slowing activity in the lower camp. Rumors of German defeats in Africa strengthened the feeling that the war was coming to an end. Once again, fears that the camp was to be dismantled and its inmates murdered inspired revolt. 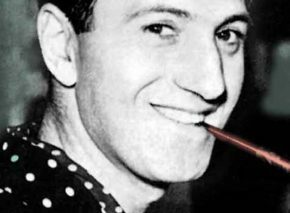 This time the instigators were nearly all kapos, led by a senior inmate, engineer Alfred Galewsky. Military experience was provided by Rudolf Masaryk, a Christian lieutenant in the Czech army who’d elected to accompany his Jewish wife when she was deported from Theresienstadt to Treblinka. The idea was to seize weapons from the arsenal, so the uprising had to begin during daylight hours, when the prisoners were allowed outside their barracks. Though the exterminations had dwindled, the burning of corpses had moved into high gear. Zelo Bloch and Adolf Friedman were therefore moved to the upper camp, putting the last piece of the conspiracy into place. The two were convinced that rebellion would succeed only if it broke out simultaneously in both camps. So they pressured the resistance leaders still in the lower camp to take action immediately, before their camp emptied out and the burning in the upper camp was complete. The rebels decided to act on August 2, 1943, at 4:30 pm. It was a hot Monday. Galewsky dispersed the prisoners after the noon roll call, and a group of four SS men and sixteen Ukrainians left the camp for a swim in the nearby River Bug. Rudek Lubrenitski, the mechanic who ran the SS garage, sabotaged the engine of the armored car parked outside. 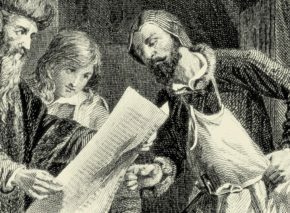 Then he took axes and wire cutters from the stores and distributed them among the conspirators. At 2 pm the prisoners broke into the armory, having distracted the officer on duty there. They loaded sacks with rifles, pistols, grenades, and bullets, then passed them through the window into the garage, where Lubrenitski handed them out. At the same time, the kapo in charge of disinfecting the camp filled the disinfectant barrel with gas and began dousing the barracks, ready to set them on fire. Then things began going wrong. SS officer Kurt Kuttner was seen huddled with a kapo who was a known informer. When they parted, Kuttner grabbed a prisoner who had money stashed in his pocket for the escape. 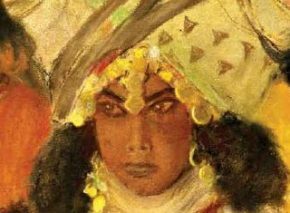 Afraid that the Jew would give them away, the leaders decided Kuttner had to be killed. A young man from Warsaw named Wallbanczik was to shoot him, but the assassination failed and the Nazi was merely wounded. The shot, fired at 4 pm, set off the rebellion in the lower camp. Shooting and explosions broke out all over, and the barracks went up in flames along with the gas reserves, causing an enormous blast. At this point, everything spun out of control. The Ukrainians began mowing down the prisoners, who fought back with their light weapons and grenades and ran for the camp’s southern fences and freedom. Meanwhile in the upper camp, Zelo Bloch gave the order for revolt. Jews assaulted the Ukrainian guards with shovels and pitchforks. A few conspirators broke into the guard room, grabbed weapons and ammunition, and fired back at the Ukrainians. In the confusion, prisoners made for the southern perimeter fence to escape into the forest. Bloch and Friedman were both killed. The commanders of Treblinka were mortified. If word of the uprising got out, their careers were over. So they did all they could to hush it up. Therefore the German archives mention no revolt. Camp commandant Franz Stangl reported only that by 6 pm, order had been restored, and all members of the resistance shot or caught. In fact, what happened was quite the reverse. Fully half the eight hundred fifty inmates present that day broke through the fence to freedom. Two hundred were captured afterward by the Germans, murdered by Polish peasants, or handed over to the Nazis. But about seventy prisoners lived to see the Third Reich defeated. Damaged by arson and explosions, the camp subsequently functioned on a much lower level. About a hundred prisoners had been too weak or scared to run away, and Stangl put them to good use, creating a semblance of activity. Toward the end of August, two transports arrived from the Bialystok ghetto, with eight thousand Jews aboard. They were Treblinka’s last victims. By October 1943, the death factory had been dismantled. Pine trees and lupin bushes were planted over the entire area, and it was gifted to a Ukrainian who’d worked there. He used the bricks from the gas chambers to build himself a house. 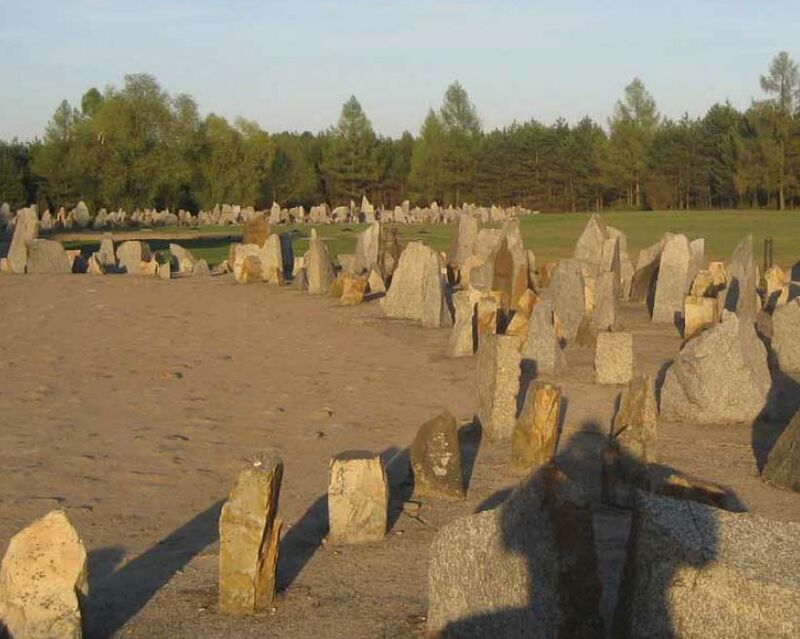 After thirteen months of mass murder, Treblinka was transformed into an isolated farmstead. A heavy silence surrounded the place, disturbed only by local Poles coming to dig up graves in search of Jewish treasure. The forgotten, whitewashed Treblinka revolt was never recognized in the same way as the ghetto uprisings, but it was actually one of the more successful Jewish attempts to defy the Nazis. In the midst of mass murder, prisoners surviving in impossible conditions managed to briefly overcome their murderers and escape to freedom. Their heroism deserves to be indelibly engraved in our memories alongside all the other brave acts of anti-Nazi resistance.